Resource Planning: Does Your Child have Access to All the Resources They Need to Thrive? How Would You Know? Because every individual is unique in their abilities, as well as their needs, Resource Planning will vary between individuals. Also, since abilities and needs change over time, your Resource Plan will continue evolving as your child grows and develops. For some individuals at their current life stage, physical and occupational therapies may be most important resources to connect with immediately. Other individuals might benefit from engaging with organizations that offer job and social skills training programs. Still others’ lives may be enhanced by participating in more innovative types of therapies – like art, music, or horseback-riding – to improve self-esteem and emotional expression. It’s important to continually seek out information about all of the available resources that can help your child overcome obstacles and further develop their abilities. 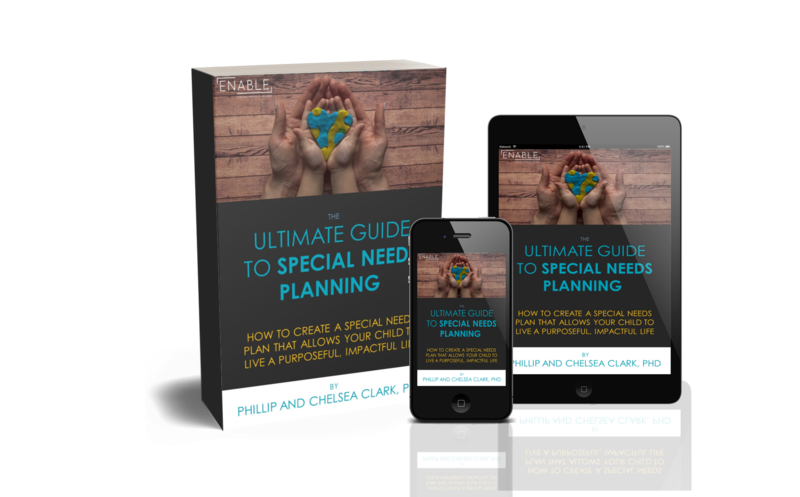 Your child’s Life Plan provides the destination for your Special Needs Planning journey, while your child’s Resource Plan shows you the best route to get you there, while offering strategies to overcome any obstacles in your path and provide redirection after detours. Because you’ve shifted your mindset to thinking abundantly about your child’s abilities, you’ll create a Resource Plan that doesn’t just make sure your child has access to basic resources. But instead, you’ll prepare your child for every possible opportunity by connecting with all different types of organizations and individuals who can help your child reach their fullest potential and best possible life based on their own unique interests and abilities. One such organization that may be useful to connect with is the Easterseals. They are a national organization that has chapters throughout the country. Their mission is to improve the lives of children and adults with special needs, disabilities, or challenges by promoting inclusion, independence, and dignity. They offer a variety of resources to help people with disabilities address life’s challenges and achieve personal goals by providing top-quality, family-focused and innovative services tailored to meet the specific needs of individuals. Many other organizations may also provide beneficial services for your loved one with special needs. Creating a thorough and detailed Resource Plan will help you understand which services may be most beneficial for your child at their current life stage. It’s Never Too Early To Get Connected! When your child is young, it is essential to begin discovering the resources that will allow them to develop the abilities and skills necessary to be successful in their own unique ways. Without these services and therapies when they’re young, your child may not be adequately prepared for the next stage of life. Let’s do everything we can to prepare your loved one with special needs to successfully transition from one life stage to the next! Your Resource Plan will help him or her do this most effectively. Be sure to update your Resource Plan as your child learns, grows, and develops. I have seen how a detailed Resource Plan has impacted the life of my sister, Sarah. From the moment that my parents received the news that Sarah had Down syndrome, they were diligent in finding the resources necessary to fulfill the hopes and dreams they had for her life. Starting out at a very young age, Sarah participated in speech, occupational, and physical therapy sessions. These resources helped her develop the basic motor and communication skills that were vital to her future success in pre-school and elementary school. Today, Sarah is a 28-year-old young adult. Her needs are much different than when she was a young child. Her Resource Plan has evolved as she’s grown up and now includes other services that allow her to expand her life, social, and vocational skills. One innovative therapy that that Sarah participates in is music therapy through Bridges, Inc. A goal of Sarah’s updated Vision Plan is to be able to express her emotions in ways that are appropriate and beneficial. Music therapy creates a safe and nurturing environment for her to share her feelings through music. Sarah also participates in art therapy through Artful Connections, LLC. Having the ability to create beautiful works of art has bolstered Sarah’s self-esteem and confidence. Not only is she proud of her artwork, art therapy gives Sarah another avenue for self–expression and exploration. Each piece of art she designs thoughtfully represents an impactful emotion or relationship in her life. Both of these therapies have allow Sarah to gain the confidence, self-esteem, and personal interaction skills that she will need to be successful in her future vocations and living environments. Your child’s Resource Plan should be just as beneficial to his or her personal development – and just as uniquely tailored to his or her personal interests, skills, and challenges – as Sarah’s is. Now that you’re familiar with a Resource Plan and understand why this area of planning is important, you’re ready to learn about the next step of the planning process: Creating a Financial Plan. Don’t miss the next post of this series: Day 5: Does Your Financial Plan Account for the Abundant Hopes and Dreams You Have for Your Child? where I’ll explain the ins and outs of Financial Planning, including why you definitely don’t want to skip this part of the planning process! Look for that post tomorrow around 2pm ET on my website (www.enablesnp.com/blog) or Facebook page (@ENABLEsnp)! Previous postLife Planning: If You Won a Weekend Getaway, Would You be Prepared to Leave Your Child with a Family Member? Next postFinancial Planning: Does Your Financial Plan Account for the Abundant Hopes and Dreams You Have for Your Child?